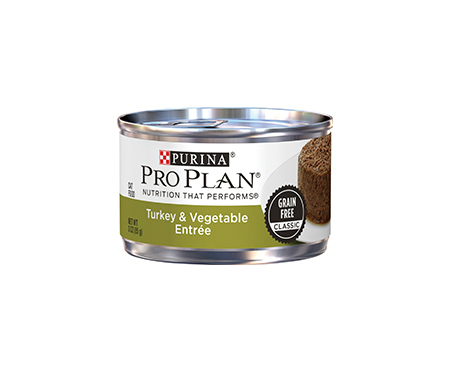 Satisfy your feline’s refined palate with Purina Pro Plan Grain Free Adult Classic Turkey & Vegetable Entrée Canned Cat Food. 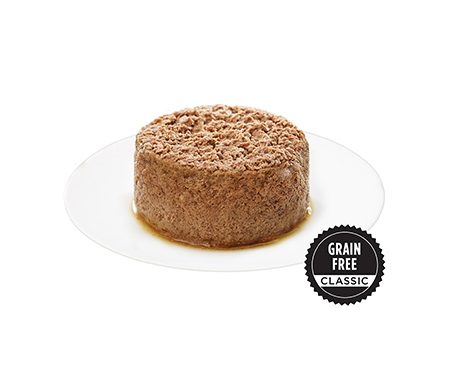 Real turkey is the very first ingredient and is complemented with real tomatoes and carrots for a delectable flavor she’s sure to love, while the grain-free recipe is ideal for the kitty with allergies or food sensitivities. It’s formulated with complete and balanced nutrition that helps support a strong immune system, along with optimal protein and fat levels to promote lean muscles and ideal weight. This savory food can be served as a complete meal and also makes an enticing topper over dry kibble to add variety to her diet. Made with real turkey as the very first ingredient and complemented with tomatoes and carrots for a delectable flavor she’s sure to love. Fortified with essential vitamins and minerals, including taurine, for complete and balanced adult nutrition. 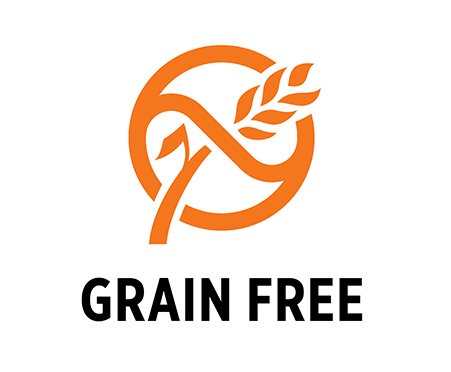 Optimal protein and fat levels to promote lean muscles and ideal weight; grain-free recipe is ideal for cats with food allergies or sensitivities. Proudly made in Purina-owned U.S. facilities from high-quality ingredients for safety and quality you can trust.